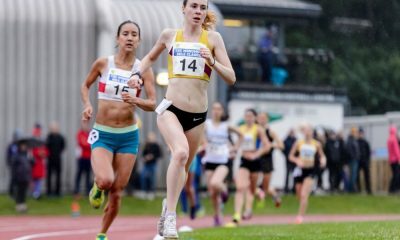 Home nations eyes may be on Gold Coast 2018, but there was still plenty of competitive running across the UK and around the world this weekend. Here are the best bits. On Saturday (April 7), Tom Lancashire and Becky Rigby won the second Podium 5k road race of the year, with Lancashire setting a course. 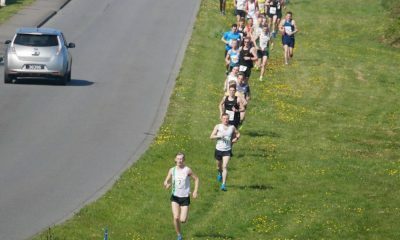 A race report can be found here. The Greater Manchester Marathon kicked off the major spring marathons in the UK on Sunday, with Kenyan runner Shadrack Tanui and City of Norwich AC’s Dani Nimmock crowned the 2018 champions, you can read all about it here. Elsewhere this weekend, Ultra-running machine Steve Way was a dominant winner of at the Bournemouth Bay Run half marathon, winning his hometown event in 70:31. Way, who won the 50km race at the Anglo Celtic Plate International last week, beat off his nearest opponent by nearly two minutes, while Charnwood’s Katie Synge won the women’s race by a similar margin in 82:23. Kent’s John Gilbert took advantage of racing on home soil when he took the top prize at the Paddock Wood half marathon in a classy 65:18, a PB as a V35 is not to be sniffed at! High-class results were the order of the day in the women’s race too, with Tonbridge’s Lucy Reid slicing a huge margin off her previous best with a 76:19 clocking to take the win. 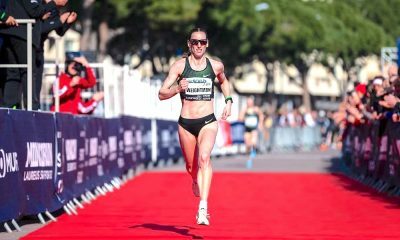 Ali Herbert was in impressive form when she won the women’s race at the Warwick half marathon in 78:14, taking the fourth overall spot along the way, less than four minutes behind the men’s winner Dominic James’s 74:19. Saltaire Striders’ Tim Baldwin took the top honours at the Fleetwood 10k in a 35:17 PB, while Vegan Runners’ Jo Armitage won the women’s competition in 41:10. Will Mycroft and Nicola Squires won Sheffield half marathon titles. Enfield & Haringey’s Mycroft won the men’s race in 71:12 while Hallamshire’s Squires took the women’s title in 79:21. 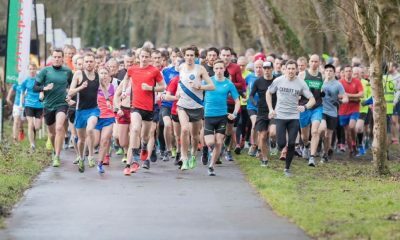 Clonliffe Harriers and Aldershot, Farnham & District’s Stephen Scullion was in superb form this weekend in Northern Ireland with two wins in two days. 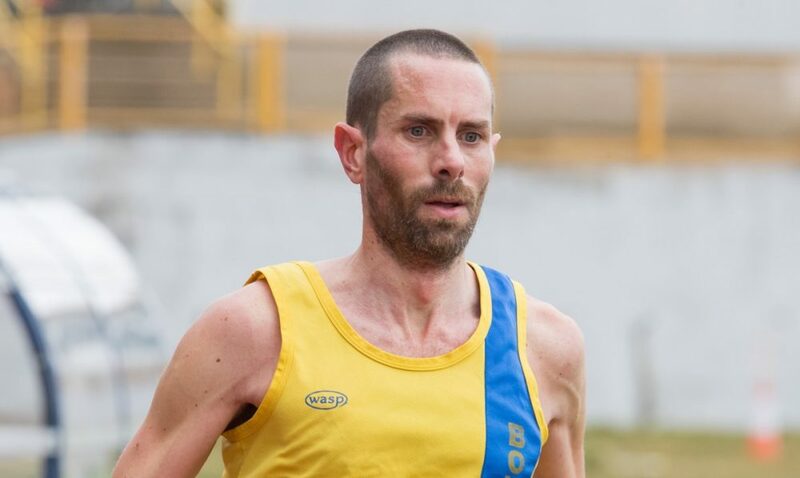 Scullion first won the Omagh half marathon in 67:01 on Saturday, before running a top class 30:29 to take first place in the TQ10k in Belfast the next day. Top veteran Ann Marie McGlynn of Thames Valley and Letterkenny stormed to a PB of 74:28 to take the women’s race in Omagh, nearly seven minutes clear of the second lady and a best by just shy of three minutes. At the Bromley 10k Ryan Prout had a 10-second win over James Connor’s crossing the line in 32:06, while Liz Davies won the women’s crown in 35:56. Fell runner and mountain endurance athlete, Ilfracombe’s Mary Menon, was in winning form once again, this time taking the women’s crown at the Taunton marathon in 2:51:21, just 20 seconds shy of her PB from last year’s London marathon. Bournemouth’s Toby Chapman won the men’s race in 2:41:13. Rotherham Harriers’ men won the Yorkshire road relay championships, while Wakefield Harriers were victorious in the women’s event. Elliott Smales, Jonathan Johnson, Dan Kestrel and Arron Larkin made up the gold medal winning Rotherham team, while Wakefield’s India Elliott, Lucy Robinson, Jenny Buck and Charlene Thomas were convincing winners, with Charlene, Lucy and Jenny posting the three fastest times of the day. 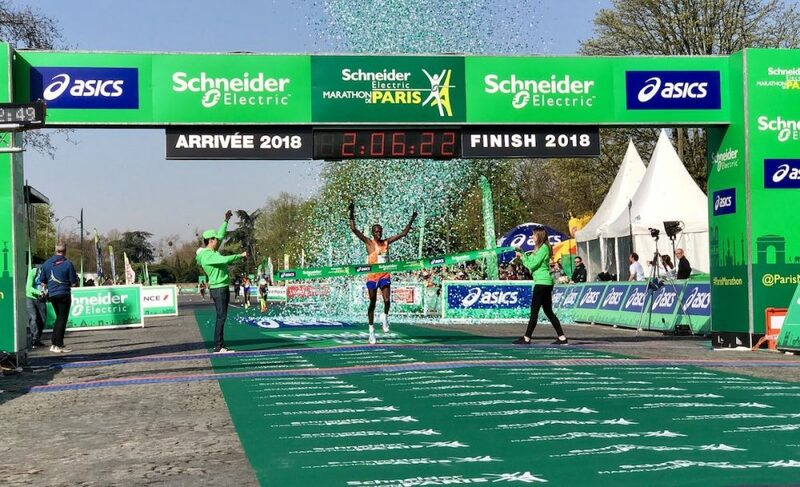 Kenya’s Paul Lonyangata and Betsy Saina took the top spots in at the Paris marathon in world-class times. Lonyangata’s 2:06:25 represented his second victory in a row in the French capital, while Saina’s 2:22:25 was a fine debut. Tavistock’s Adam Holland was first Brit home in 2:35:04, with Newmarket’s Daisy Glover recording a superb 2:52:17 clocking on her first run over the distance. Visiline Jepkesho (2:23:47) and Kenneth Kipkemoi (2:05:44) were in winning form at the Rotterdam marathon, making it another Kenyan clean sweep. At the Berlin half marathon, Kenya’s newcomer Erick Kiptanui clocked a sensational course record of 58:42, equalling the fastest time in the world this year and the fifth fastest time ever over the distance. Ethiopia’s Melat Kejeta won the women’s race in sunny but windy conditions with 69:04. Benard Kimeli in 59:47 and Joan Melly in 65:04, who was well within world record pace for much of the race, won the Prague half marathon on Saturday. Cambridge & Coleridge’s Joe Turner was the first British runner home in 73:18 while Tyne Bridge Harriers’ Louise Lennox’s 98:18 was the first lady from the UK.